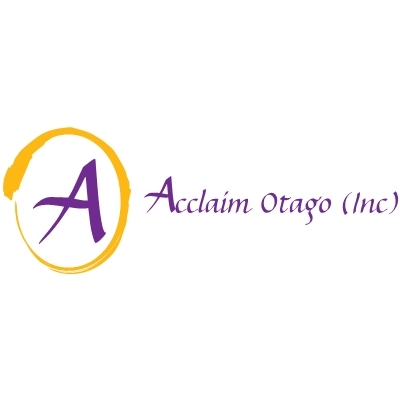 Acclaim Otago (Inc) is a support group for injured people and their families. We have been an incorporated society since May 2003. The UN Committee on the Convention on the Rights of Persons with Disabilities (CRPD) has asked the New Zealand government to explain whether people with disabilities covered by ACC have access to justice. The Committee's response means the government will now be required to engage in a debate about how access to justice for people covered by ACC can be improved. This questionnaire gives you the opportunity to provide information and detail about your experiences with access to justice. We understand that the survey asks you for (at times) relatively detailed information that may not be readily at hand. We would sincerely appreciate it if you could answer the survey as accurately as possible. The individual results of this survey will in NO WAY be shared with ACC and NO identifying information will be released to ACC. The aggregated information will be used to identify access to justice issues with the ACC scheme. Your current and future entitlements will not be affected by filling in this survey. All information is for statistical purposes only. You have the choice of remaining anonymous. The names of survey respondents are not collected by this survey unless your email address includes your name (e.g. johnbrown@email.com), and no personal information will be used in the reporting of results. If you do wish to be contacted with further projects, you can leave your email address at the end of this survey. Acclaim will not pass your email address to any third parties without first asking for your informed consent. If you want to be part of further surveys, but don't feel comfortable leaving your email address in the survey, you can send an email to acclaimotago@gmail.com, with the subject line "Add me", and we will add you to the list. We are raising funds to send two representatives to the United Nations in September so if you would like to assist us with that we have a page on Give A Little for donations for the UN Project. By completing the survey you give consent for your responses to be collected and used for the purpose of statistical reporting of the data collected.